Twenty-one-year-old Ngarohi McGarvey-Black has been on coach Clark Laidlaw's radar since he was at Rotorua Boys High School and since the arrival of the news, McGarvey-Black had one person on his mind. 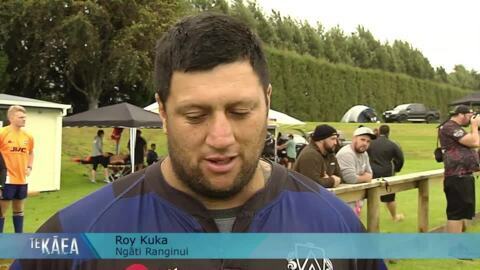 The Vaughn Kuka 10s Rugby Tournament in Tauranga has born the name of the local rugby hero for 20 years. Now the trophy honouring his memory is being retired, but the tournament will carry on with a new direction. Former Kiwi legend Nick Wright has returned to the rugby league field at the National Secondary Schools Rugby league tournament in Auckland, giving words of wisdom to schools battling it out for the top titles. All Black and Chief third halfback Tawera Kerr-Barlow will head to greener pastures at the end of the season after an announcement this morning confirming his three year deal with French Top 14 club La Rochelle.